Don't remember his name, I asked a few questions and he didn't have much info. I don't think he was a high level guy, Very nice fella though. I need to properly paint my TA hood, it's been in black primer for 2 years now. Picture from ad last year I believe. Must be either a fake or 1968, didn't they not have the bulges? I know sometrhing didn't. It's more like a suitcase than a mailbox. So are you saying in 1969 they built 2 new cars just to bulge the wheel opennings and change the hood? If so where were the 2 1968 cars in 69? 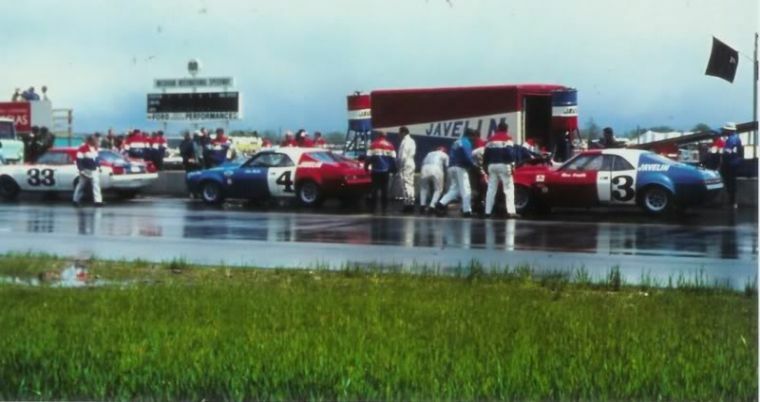 Don't recall ever hearing of 4 prePenske Trans-am Javelins running the tracks at the same time, not saying it isn't so, just saying. Typically new cars were built every year. 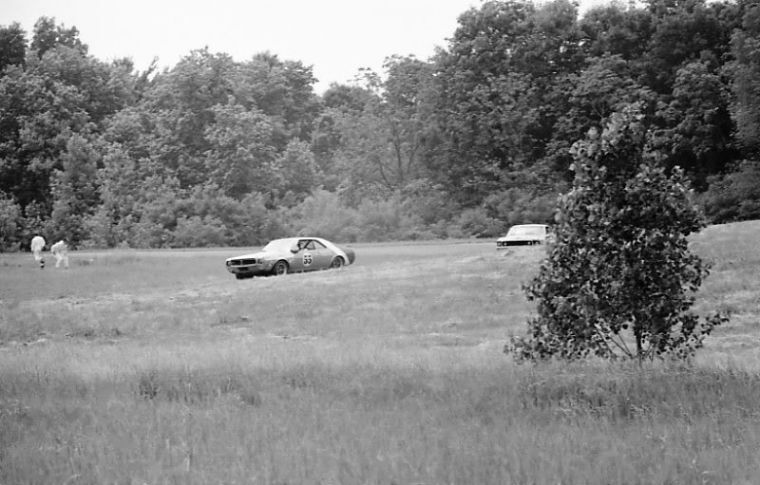 Interestingly the ’69 cars are easy to spot as along with the obvious body modifications it had ‘70ish front suspension. This was available in kit form in '69 as was the TA hood. The old cars were sold, or held as backups. I believe at least one of the RKE 68 cars was run in 69 as a privateer car. Interestingly the ’69 cars were allowed to run the new hood, but not the ’68 rear wing. 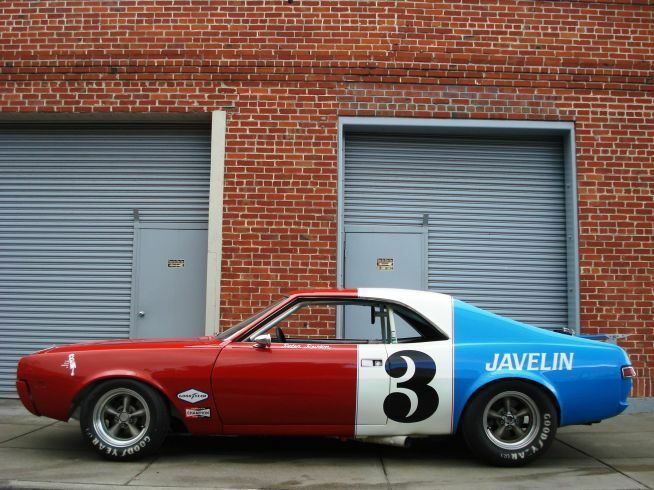 The 1968 cars were the only Javelins allowed to run the rear spoiler in the ’69 season. Highly unlikely that all the changes made to the 69 cars would be un-done prior to selling them, just saying. I know Ted Roberts drove one of the 1968 cars in 1969. Bob Tullius also drove in 69 what was probably a left over 1968. 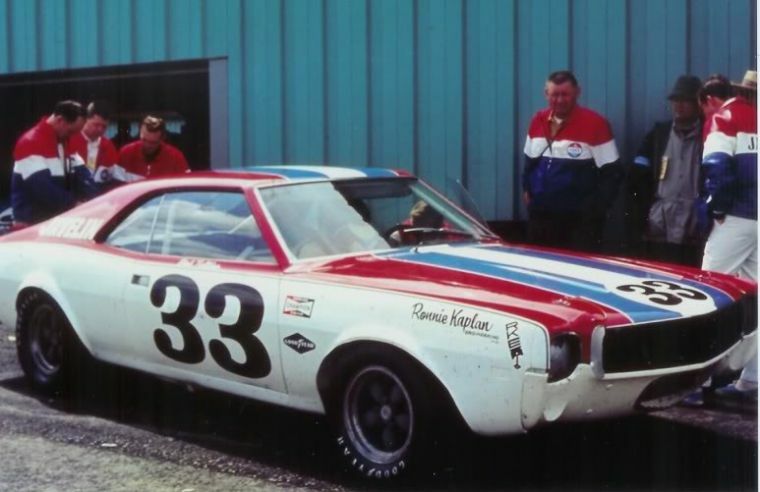 The #33 car is from Michigan in 1969. The bw photo of #55 is Ted Roberts at Mid Ohio in 1969.